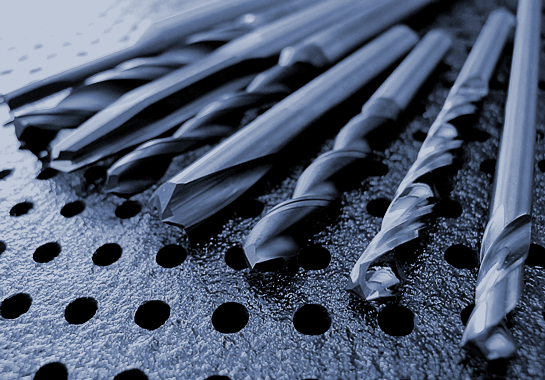 Drill bits and tools for composites and aerospace materials. Drilling composites? You need a drill that’s been engineered to suit. Right drill. Right place. Right time. There’s such a diversity of composites and aerospace materials in use today that one drill doesn’t fit all. Cajero provides a proven assortment for you to pick from. So you’re able to drill the things that matter to you — whether it’s carbon composites, Kevlar or aramid, even composite stacks with aluminum and titanium. Drill your next hole with FIBRODRILL™. Great outcome for you. Envy from your rivals. Optimal drill point gives you delamination-free holes in composites time and time again. This is Cajero’s CFDS-Type diamond coated drill for composites. Have you tried it yet? Whatever you drill — drill it well. Cajero’s CFCR-Type drill with wear-resistant diamond coating ensures maximum performance at your machine. For the ultimate in drilling accuracy. When regular drills just won’t do, it’s time for you to consider a drill reamer. What you need is Cajero’s GDRS-Type drill reamer — precision-made as accurately as the holes you need to drill. Our iconic dagger drill has been updated to meet the demands of today. Cajero’s GDDS-Type drill’s double-angle geometry makes for better entry and exit, whilst the premium carbide gives you a tough cutting edge for increased tool life.